I've gotten a few emails regarding the upcoming release of After Dawn and figured I'd pop in to give you all an update! 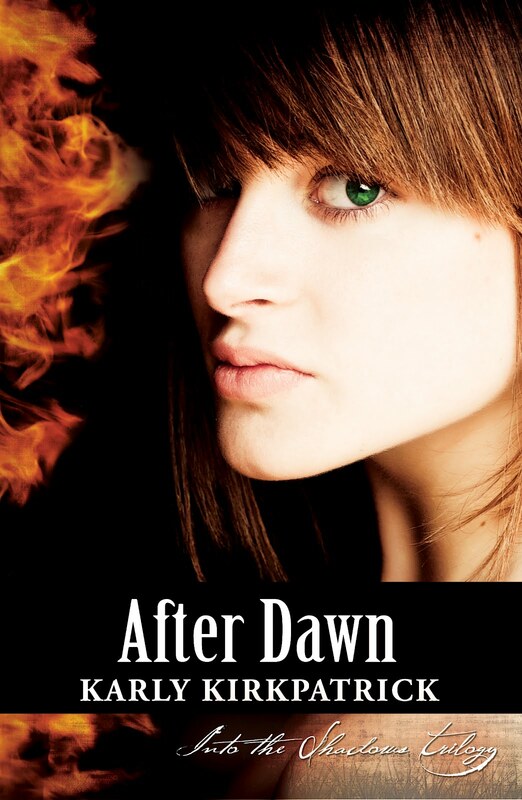 The first draft of After Dawn is complete, I'm doing the first round of revisions now. At the end of this week, I should hopefully get it out to my beta readers. Once I get it back, I'll make those corrections (about a week or so) and then send it out to my proofreaders. It will take me about a week to make corrections as they trickle in. Formatting takes only a short amount of time these days for me, so at least that part will be quick! My hope is to get you the book between October 31-November 15. Now if only someone could work my full-time job for me, I could get it to you lots sooner! I also plan to make a Trilogy bundle of all 3 editions. Not sure when exactly that will be ready. Hopefully not long afterward. I'll keep you posted! I'm really happy with how the book is turning out and I hope you guys will love it! Stay tuned for further updates! 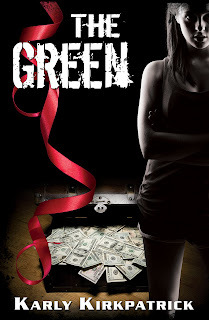 I've been a little bothered by The Green's performance the last few months (all the months) it's been out. Despite having some of my best reviews and being the highest rated of my books, it sells the least. I've pondered for awhile what to do to help it out. I've played with price. I've put it on a blog tour. It does have a one major drawback -- it's a stand-alone novel. It's not part of a series and never will be and as we've seen, series are the money-makers. However, YA contemporary titles seem to sell decently despite that. So I looked at it a little deeper. And I thought about packaging. 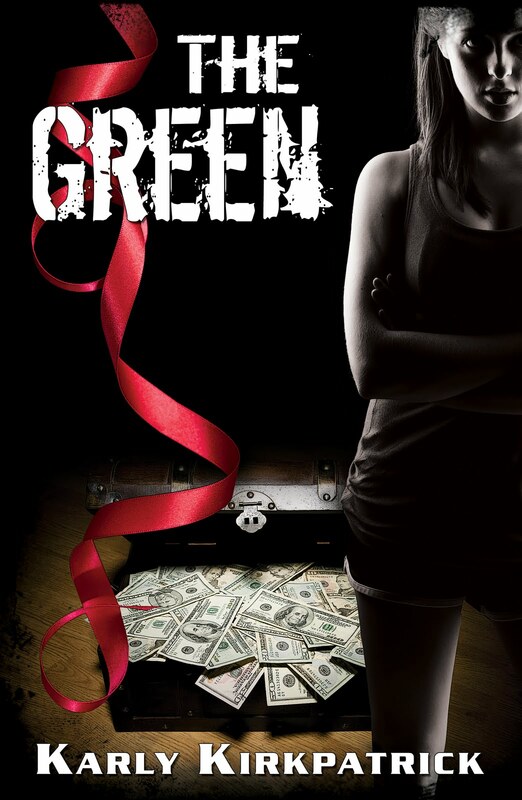 Quite simply if you compare The Green to the covers of my other titles, it looks the same. Same colors. Dark. Foreboding. My other books happen to be paranormal and not contemporary though. I think my original reasoning for going dark with the cover was because of the subject matter. It's kind of a dark book. Not nice things happen. But at the end of the day, it's realistic fiction. We generally don't live in the dark, surrounded by dark clouds (all the time). And looking at other YA contemporary covers (think Sarah Dessen, John Green, Ellen Hopkins), they're bright, use lighter covers, even though they cover pretty heavy topics. And while I do appreciate my original cover, I figured it was time to try the opposite and see if that has any effect on sales. It certainly can't hurt. I worked with Robin Ludwig of Ludwig Designs on the original, and she is the artist that has done my Into the Shadows and Bloody Little Secrets series covers. She definitely got across what I wanted. We have the red ribbon to show her shiny cheerleader-ness, the money to show, well, The Green, and a sporty-looking chick to represent our Ariceli. I think it's a great representation of the story and I do love the title font. It's awesome. But again, I chose dark on this one. Here's the updated version with pretty much the same essential features. Cheerleader, red and white showing the school colors, and money. Also, you can see big, fancy Cambridge High School in the background. I think the bright colors and title are more prominent in the thumbnail as well. It will be interesting to see if the cover makes a difference in sales. It could be that it will still suffer for not being part of a series. But we'll see. I might try one other promotional idea as well to see if the cover can really seal the deal. I have a sneaky suspicion based on my own stats, that this cover will do really well on Apple in particular. So we'll see. I hope everyone knows that I did like my first cover, but in this business, you've got to be ready and willing to change things often until you reach your desired effect. I'll keep you posted as to how things go for it sales-wise. Right now it's averaging between 15-30 sales a month across ALL channels. Poor thing! I'd like to say based on my sales in 2012 that I've reached a certain level of success. I have 4 novels out and a 5th due soon. I've sold over 8,000 copies of said books. All on my own. (Okay, I think it's safe to say with the help of readers and fellow authors, I couldn't have done it all on my own!) My current stance at the moment is to continue my writing career in the self-published fashion. I get to keep my rights and have access to great royalties. I make all my own decisions, from content to book covers to release dates to price. I love what I do. It's great. I wouldn't change it. But it's also a business. I can't help but think sometimes, and I do go back and forth, that having a literary agent would be a valuable addition to my business. It would be great to have someone who could sell my print rights, or my foreign rights. My ideal situation would be one where I retain my ebook rights and the agent looks to sell paperback rights or international rights so the books can be published in other languages. But finding these agents is like chasing a unicorn. They occasionally exist on a full moon or at the end of the rainbow, but for the average self-published author, we can't seem to catch one. I wonder if the industry has developed enough to allow these unicorns to actually exist. I know of a few, but mainly they're repping people far more successful than myself or people they snapped up prior to the author's self-publishing experiments. I'd like to think in the future agents will be more accessible to us self-pubbers. We're all in business here and there has to be ways we can help each other. As a self-published author I've proven that I'm a hard worker, I pay attention to detail, I'm motivated, and also that I can market myself. I feel like that gives me such an advantage over some of their other clients. I'm ready to hit the ground running and already have a platform ready to go. They also have to understand us and what we're looking for. Intelligent business options that allow us to retain important rights, but exploit the products we've created to their fullest. If these agents do exist, I'd love to talk with them, if not only for myself but for all of us so we can see if the unicorns are real. Are there agents out there ready and willing to work with the self-published? What are their thoughts on the process and is what we're asking for something they actually see as lucrative business moves for them? I'd love to see an agency site that includes submission/query info for self-published authors. I'm going to do a little digging and see what I can find out...wish me luck! I'll report back anything I uncover!